Creative Save The Date Ideas – Wedding Magnets! 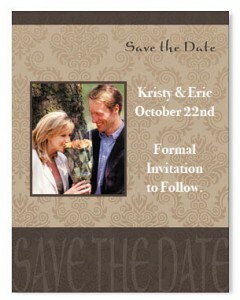 Wedding dates are easy to remember for the bride and groom, the parents, the bridesmaids and maybe even the groomsmen. But for the average guest, unless they’re really close to the bride and groom, the date of the wedding can be forgotten in an instant. To help the friends and family keep track of the date you could call them every week, but depending on when the wedding actually is, that could get annoying. One great “save the date” idea is to include customized magnets in with the wedding invitations. Magnets are great things because you can stick them virtually everywhere there’s a metal surface that a magnet will stick to. Refrigerators, lockers, military style desks, metal cabinets and even metal desk lamp shades. Everyone has at least one magnet stuck somewhere in their home, even if it’s on the back of the Chip-Clip to stick on the ‘fridge when it’s not holding a bag of potato chips closed. But as a way to remind people when a wedding is, it really reaches a new level of usefulness. If you include several in with the wedding invitation and RSVP card, then the guest can stick them in several places, reminding them constantly when the wedding date is. That alone is worth the minimal cost of save the date customized magnets since there is one less excuse to forget the date. 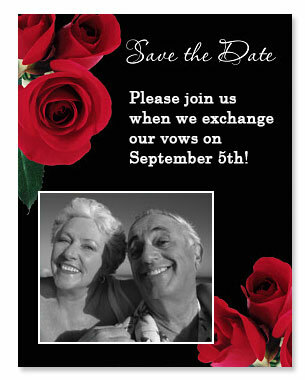 And other save the date ideas when customizing them gives you additional advantages as well. Not only can you have the names of the bride and groom and the date for the wedding but you can also have the magnets set up with the theme and/or colors for the wedding. This gives the guests a heads up on what the theme or color scheme will be, that way they can bring gifts that are compatible or at least wear clothes that will match the rest of the wedding party. 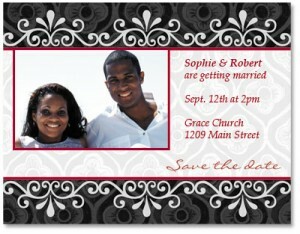 Save the date magnets can really save the day when it comes to making sure everyone is on the same page. Save the date, present the theme and have a totally awesome wedding. You’ll love the idea, and the guests will appreciate the reminder and the memento.